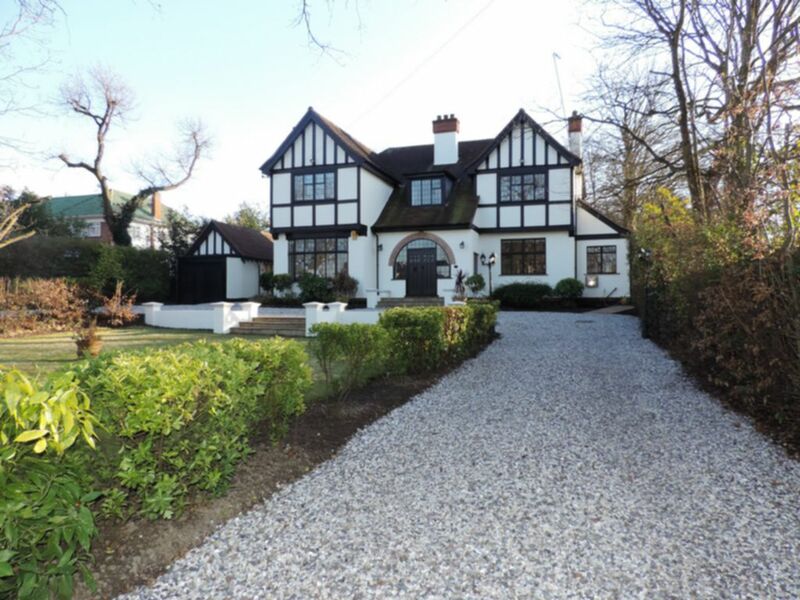 Superb opportunity to rent this newly refurbished detached house in one of Chigwell`s most premier roads. Accessed by a large carriage drive with parking this property stands on a substantial plot set back from the road. Accommodation consists of a large kitchen diner complete with handmade kitchen, granite work surfaces and Agga cooker and separate utility room. Large lounge with aspect to huge back gardens. Separate dining room/ reception two and ground floor cloakroom located off of the oak panelled entrance hall. The first floor comprises of master bedroom with dressing area and full en-suite luxury bathroom. Three further double bedrooms and a family bathroom. Attic conversion with fully fitted wardrobes and ideal for an au pair or children`s playroom. Externally are large gardens front and back and a double length detached garage complete with inspection pit.